Olga Grygier-Siddons, CEO of PwC for CEE, compared Davos last year – where the stress was on the geopolitical situation in the wake of Trump's election, Brexit and the threat of Putin's Russia – with this year, where the focus was on a rising global economy – and rising inequality. Ms Grygier-Siddons mentioned the growing importance of data to business and the state, how it can be used for good on indeed for nefarious ends. This time last year, economic forecasters tended to err on the side of caution with no one daring to predict that Poland's economy would grow as fast as 4.6% in 2017. Michał Mrożek, CEO of HSBC Polska, said that while Poland was seen to be doing well, with Bloomberg forecasting that it will be among the five fastest-growing emerging market economies in the world, growth would likely not be as fast in 2018 as it was last year with the big question mark remaining around the further pace of private sector investment growth. He suggested that monetary policy would remain steady, not foreseeing a rise in base rates until mid-2019. These projections may come under strong pressure as the Polish economy experiences labour shortages and pressure on wages. He spoke about the surge in investment – public and private – experienced in Q4 2017, which helped to balance and deepen Poland's GDP growth. Niccolo Polli, deputy CEO and head of strategy and planning for Europe at HSBC, added that with quantitative easing beginning to kick in, European growth rates were picking up strongly, a decade after the start of the global financial crisis. Adam Uszpolewicz, CEO of Aviva Poland, the largest UK investor in Polish financial services sector, was also sanguine about growth prospects. Asked whether he was concerned that the next EU financial perspective (after 2020) will be far less generous to Poland, he replied that the shortfall would be in the order of €2 billion a year compared to the current budget, and that this would not be a problem given the large amounts of private capital looking to be invested in Poland. He agreed with Mr Mrożek saying that the Q4 pick-up in investment shows that the engines of growth are indeed firing on all cylinders, a hopeful sign for 2018. The past two years have seen revolutionary changes in Polish tax. 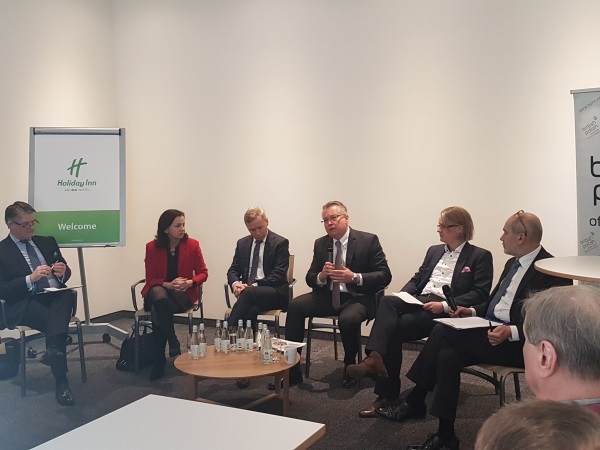 The implementation of the Single Audit File – Tax (SAF-T) has helped reduce the VAT gap, said Piotr Ciski, CEO of Sage Polska. He said the shortfall, which in 2016 was 52 billion zloty, was reduced to 39 billion zloty in 2017 with, according to PwC forecasts, further falls expected as SAF-T implementation spread to small and micro-businesses. 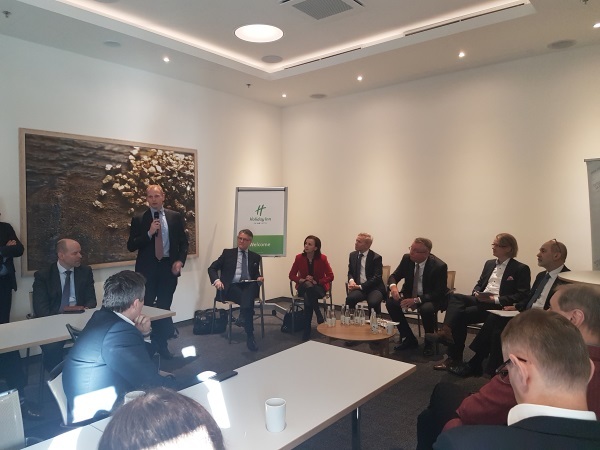 Mr Ciski noted that Poland is at the start of the road towards tax digitalisation, with increasing amounts of data being collected from taxpayers. The next challenge facing tax authorities and entrepreneurs alike will be the voluntary implementation of split payment of VAT from 1 July, which, he said, could lead to liquidity problems for some smaller businesses. The biggest challenge this year, however, said Mr Ciski for many firms will be the implementation of the General Directive on Data Protection (GDPR); most businesses are simply not ready for it, and the fines for non-compliance will be heavy. Poland's growth at present does not seem to have been held back by a tightening labour market, but that may change, according to the panel. Olga Grygier-Siddons said that over the past ten years, the number of tech graduates in Poland has fallen by 30% to 13,000 – just when the labour market needs more IT people than ever before. There are signs that companies are starting to get around labour shortages by investing in automation, thus boosting productivity and helping to move Poland out of the 'middle-income trap'. The increased presence of workers from Ukraine in the Polish economy had also reached a significant level, helping reduce vacancies in unskilled and skilled (particularly IT) jobs. However, there was less good news from Poland's universities. Adam Uszpolewicz, who is keen to cooperate with the country's technical universities in building risk-modelling platforms, says that too much EU money has spoiled the professors, who are not that keen to work on commercialising their departments' innovations with the private sector. BPCC chairman, Antoni Reczek, agreed, saying that too many Polish universities are still run by old professors who need to be retired to allow younger teaching cadres to move forward. Olga Grygier-Siddons said that that the recent boom in business process outsourcing and shared services centres will bear fruit as these centres up-skill their staff. Technology is being constantly upgraded. “Automation and robotisation takes time”, she said, “but it is happening.” Ms Grygier-Siddons cited as an example PwC's Financial Crime Centre of Excellence in Gdańsk, where the problem-solving skills of the workforce is taking technology to the next level. Corporate Poland needs to invest in the innovation within the global supply chain, in particular Polish-owned medium-sized businesses, which are increasing internationalising and investing in technology, said Mr Uszpolewicz. Private-sector investment in Poland will show a “high single-figure increase” this year, he said. The government's role in ensuring continued economic growth should be focused on education. 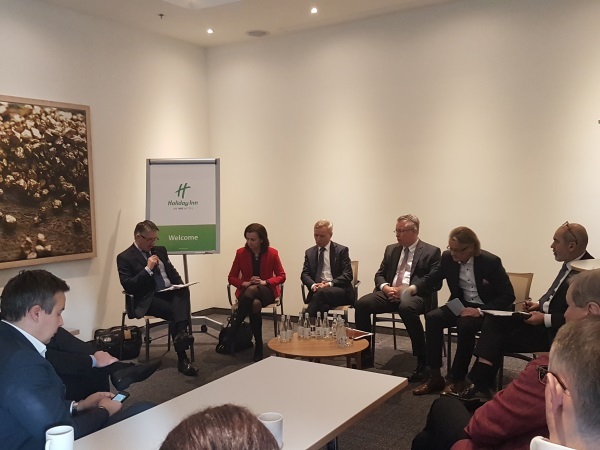 Speakers agreed that ensuring the right number and quality of graduates from universities – and indeed vocational schools – should be the public sector's priority. 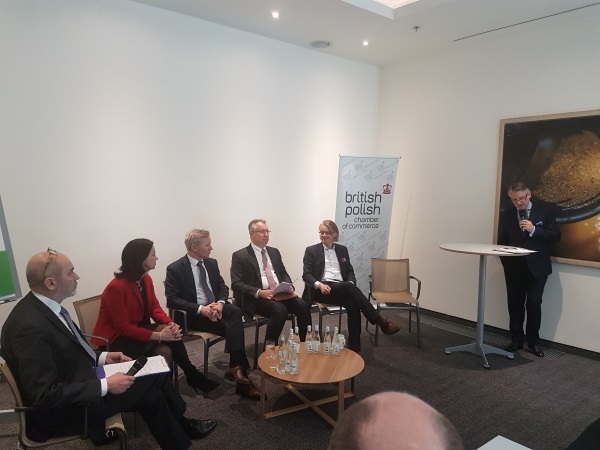 Addressing the 'elephant in the room', namely Brexit, Tony Reczek said that firms will not necessarily be moving their European headquarters from the UK to Poland, saying that inward investment into Poland this year is not expected to be as high as in previous years. This point was borne out by Monika Dębska-Pastakia, chairman of the board of Knight Frank, who said that her firm saw a large increase in inquiries in Dublin, Amsterdam, Paris and Frankfurt, but not necessarily in Polish cities. Piotr Ciski said that the decision to locate Sage's latest investment in Warsaw was taken ahead of the Brexit referendum. Companies are still waiting to see how Brexit will turn out before taking any irreversible decisions.